Your relay ladies will love the Premium Female Relay Team Medal! 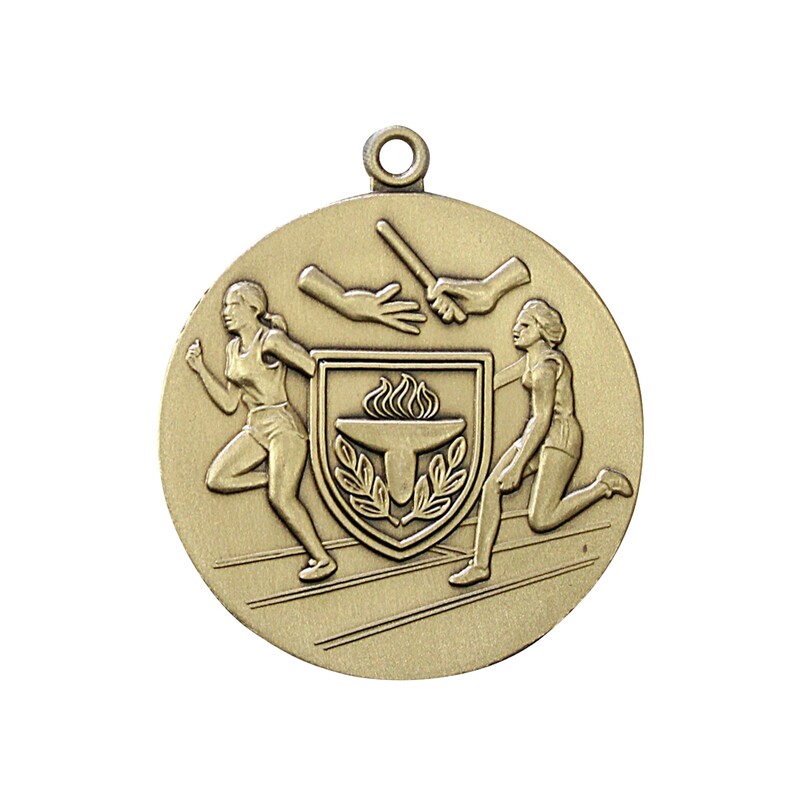 This high-quality medal features two runners and an enlarged image of a hand off. A shield containing a victory torch rests in the foreground. Up to three lines or your etching will be done on the back in a darkened color. 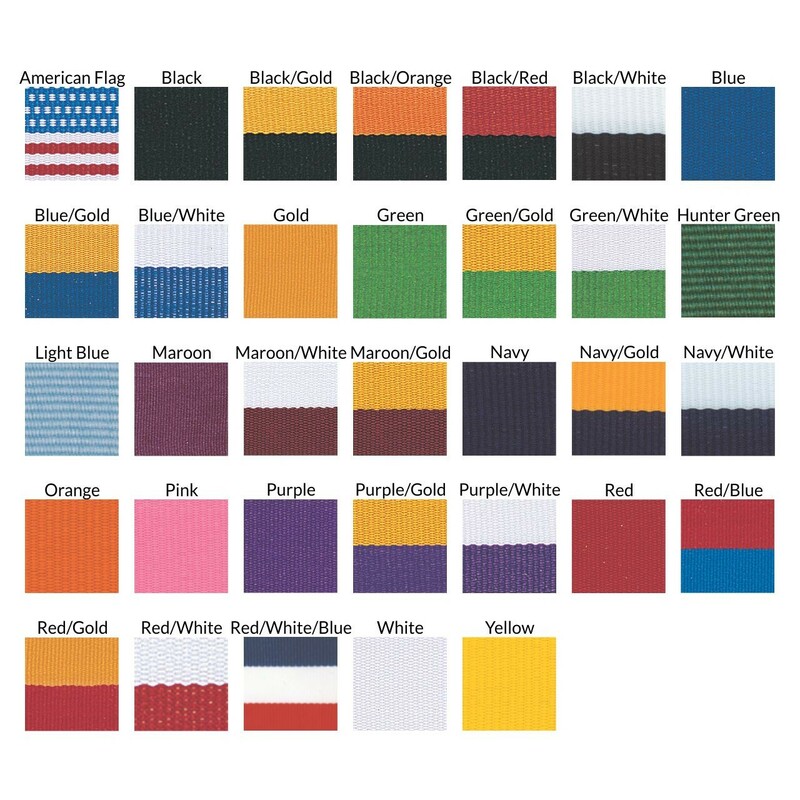 Choose a neck drape from our extensive options. 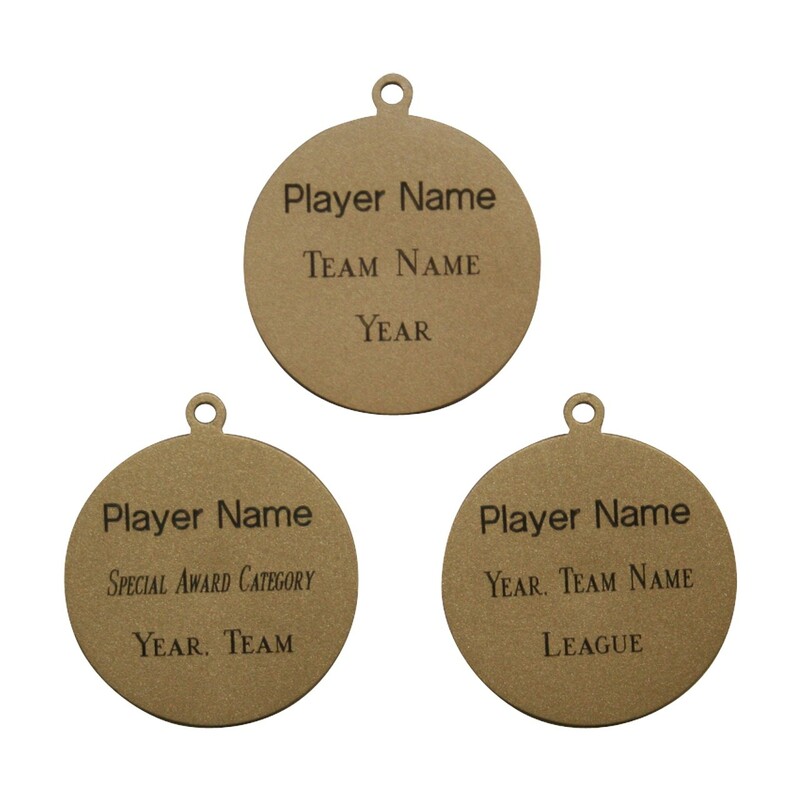 Add a brass stand for an additional $1.50.